A monthly periodical that published articles on Celtic history and literature. Amongst the periodical's founders was the cleric and historian, Thomas Price (Carnhuanawc, 1787-1848). 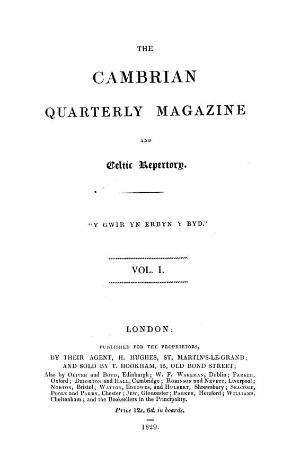 Associated titles: The Cambrian and Caledonian Quarterly Magazine and Celtic Repertory (1832).